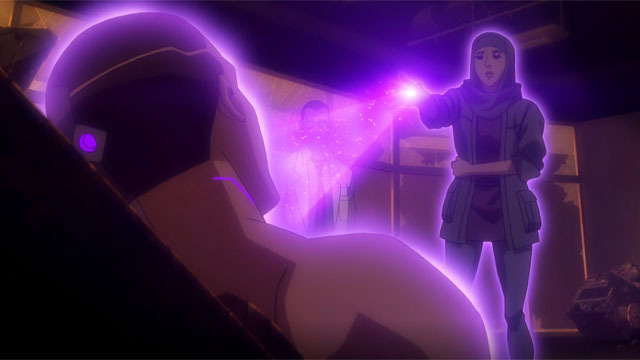 In the previous episode of Young Justice: Outsiders, Batman led a mission to Santa Prisca that revealed Tara Markov was no longer being held by the League of Shadows. Instead, Granny Goodness now has Brion’s sister in her custody. 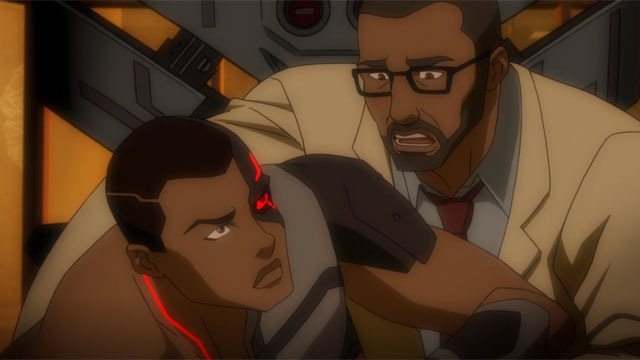 Meanwhile in Detroit, the Justice League gave Silas Stone a Father Box for study. Unfortunately, Silas let down his son, Vic, one too many times. 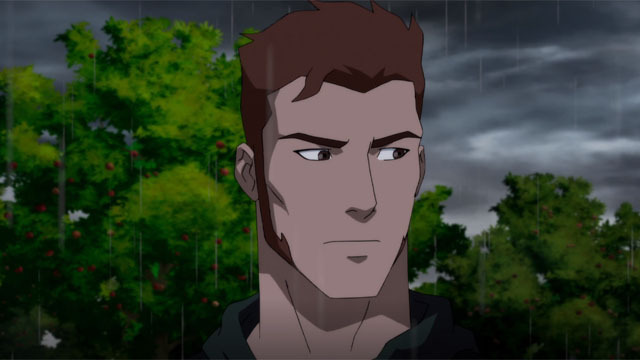 In Young Justice: Outsiders episode 11, their lives would be changed forever by that mistake. Silas was initially indifferent to Vic’s anger over his broken promise. He didn’t even acknowledge what he did was wrong, which made Vic even angrier. Finally, Vic became calm when he gave up on his father. As he turned to leave, Silas reached out to his son. But Vic accidentally unplugged a machine, which triggered an explosion that fatally wounded him. Vic’s horrendous injuries meant that he had only seconds to live. To save his son, Silas used the Father Box on him. To the horror of Silas’ colleagues, the Father Box enveloped Vic and internalized itself in his body. 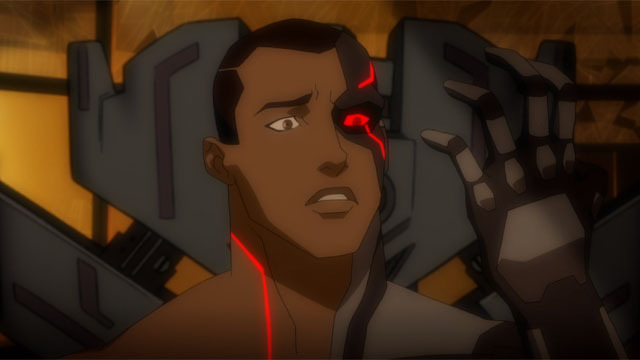 Vic was transformed into Cyborg and released from his stasis. However, his anger at his transformation allowed the Father Box to take over his body. Vic then tried to murder his father. In Happy Harbor, Artemis brought Halo to town for her first day of high school. Forager was also given a new human identity, Fred Bugg, and a magic glamour to pass as human, so he could go to school as well. Once there, Forager couldn’t stop saying “Fred Bugg with two gs,” to everyone he met, even when referring to himself. Halo and Forager were quickly rejected by their peers, and they believed themselves to be freaks. Fortunately, their new (and only) friend, Harper Row, convinced them that being a freak isn’t a bad thing. All throughout the day, Violet complained that she felt strange. Finally, she manifested a new color, indigo, and opened a Boom Tube. Much to Forager’s alarm, she stepped through the portal and left him behind. Brion’s attraction to Halo was obvious even to Forager, and he felt embittered to be left alone on the farm. He tried to access the Justice League’s records about his sister and the Santa Prisca mission, but he was locked out. Nightwing arrived and caught Brion in the act. He told Brion that Tara had been in Santa Prisca and that the search continued. Brion erupted in anger and attacked Nightwing. Rather than escalate the situation, Nightwing asked Brion if he was going to constantly looking back at the past or if he was looking to the future at the man he might become. Nightwing’s words made Brion reconsider his actions. Later, they shared a bonding moment as Brion seemed willing to embrace his new life. Halo appeared in S.T.A.R. Labs just as Vic was about to murder his father. Vic attacked Halo as well, and he had the upper hand thanks to his new powers. However, Halo realized that she had been summoned to heal Vic’s mind and cleansed it of the Father Box’s influence. Once in control of his senses, Vic told his father that the murderous intent belonged to the machine. But Vic’s anger was real, and he asked Halo if he could come with her. They returned to the high school, where Forager and Megan were waiting. After a brief introduction, Vic wandered onto the football field and reflected on what he had lost. 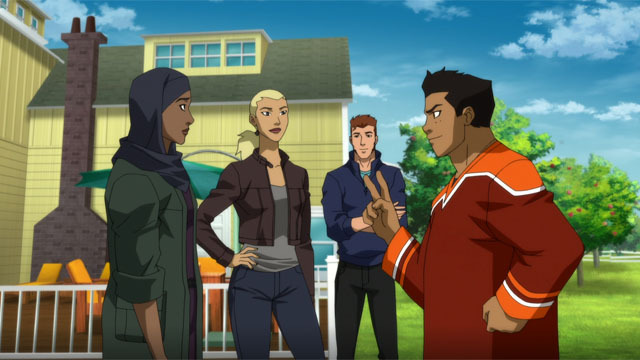 What did you think about Young Justice: Outsiders episode 11? Let us know in the comment section below!